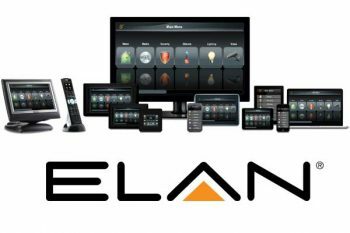 Elan Home Systems, an award winning home automation control system, is Advanced Integrated Controls preferred smart home control center. 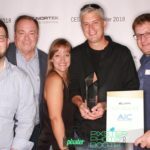 They’ve been voted Human Interface of the Year, via the CEPro Mark of Excellence Award, and continue to deliver premium home automation control. 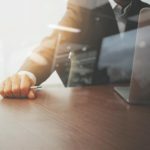 With Elan, AIC is able to interface all smart technology into an easy to use program that can be accessed globally through a smart phone, tablet or computer. Therefore, providing a convenient energy saving solution and exceptional security. With just the touch of a button, Elan can turn on and off your lights, automatically lock or unlock doors, and set the security system. Additionally, Elan gives access to security camera’s from anywhere. Giving homeowners the sense of relief while away for a short or long duration. AIC can also program Elan to control whole house audio, pool & spa temperatures, irrigation and HVAC. 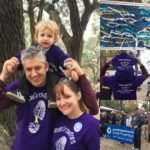 Again, all through one easy to use program that can be accessible from nearly anywhere in the world. AIC has been partners with Elan Home Systems from the start. Feel confident that AIC can help personalize your home technology to be controlled by the palm of your hand. There are endless possibilities! 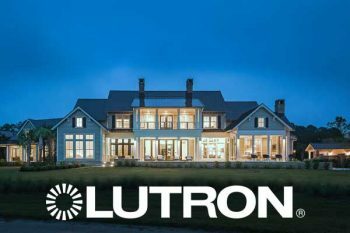 Advanced Integrated Controls has partnered with Lutron Electronics to provide our clients with the best residential and commercial solutions for automated lighting and shades. 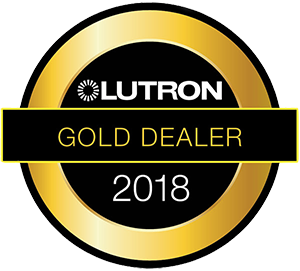 Our Lutron Certified technicians have been trained to design and install all of Lutron’s products including, but not limited to, RadioRA 2, HomeWorks QS, Sivoia Shading Systems and Caseta Wireless Single Room Controls. Lutron has been awarded many times for their energy saving control solutions. For more than 5 decades, Lutron continues to offer various ways to reduce electricity usage, mainly through scene setting dimmers. AIC can program lighting scenes to shut every light off in the home with just the touch of a single button. 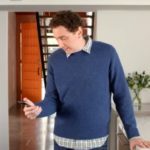 AIC can also program driveway sensors to signal the lighting throughout the home to turn on, while pulling into the driveway. 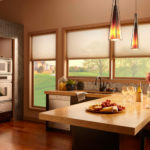 In addition, automated shades allow the homeowner to take advantage of solar heat; another energy saving benefit with Lutron. 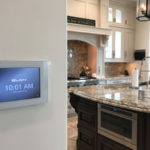 Each room is tailored to the liking of the homeowner through custom engraved switches, custom fabrics and efficient integration into an easy to use control system. Lutron Electronics is known for their innovative style and immense energy saving products. Our professionals here at AIC are looking forward to discussing your Lutron options! AIC is pleased to partner with Ruckus Wireless, Inc. for Wi-Fi solutions. 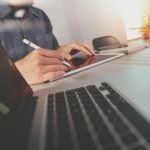 Ruckus offers SmartZone, a line of carrier-grade wireless access and management products that include SmartZone controllers, as well as software solutions, such as vSZ and virtual SmartZone Data Plane. It also provides ZoneDirector, a Wi-Fi controller that streamlines the configuration and management of Ruckus Smart Wi-Fi access points; ZoneFlex indoor and outdoor access points, which support various virtual WLANs, Wi-Fi encryption, and advanced traffic handling, as well as point-to-point and multipoint bridges; and Unleashed, a controllerless indoor Wi-Fi access points for small business owners. Sony has gone above what many other technology companies have been able to achieve. Sony is the king of televisions, producing premium 4K HDR TVs with the best ratings. A combination of aesthetic design, picture quality, smart features, user interface and easy integration is why AIC is a dedicated Sony TV dealer. Furthermore, Sony’s award winning 4K projectors and high quality AV receivers provide a home theater experience like never before witnessed. Our direct partnership with Sony guarantees our clients the best pricing options available for any audio video project! Autonomic is the premier choice for whole-home audio. Listen to and control your favorite music in every room with just the touch of a button. They provide a virtually invisible multi-room sound system that fills your home with great-sounding music. Whole-home audio comes in all shapes and sizes, which means you get an audio solution tailored to your listening style. 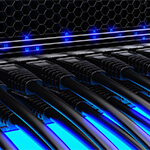 In fact, Autonomic systems are scalable up to 32 streams and 96 zones. Advanced Integrated Controls partners with Autonomic to bring the best solutions in whole home audio to our clients. Leon Speakers has a group of artists, designers, engineers and craftsmen dedicated to producing high quality audio. For nearly 20 years, their products have been designed and manufactured in the United States. They offer a wide collection of subwoofers, in-wall/in-ceiling speakers, bookshelf speakers, soundbars, outdoor audio and amplifiers. One unique attribute of Leon is their Horizon Series Soundbars. They are custom built to match the exact width and finish of any TV. A true custom touch to any audio video project! Furthermore, Leon offers Tonecase's and Hardwood Cases. This product line can conceal any Sonos Playbar with a custom grill to match the width of your television, as well as concealing any Play:1, Play:3 and Play:5 in a custom case. AIC has partnered with Leon to offer our clients the finest audio products available on the market! AIC works with Denon home entertainment products in our projects, ranging from wireless audio and home theater to premium audio solutions. With decades of innovation at the heart of the entertainment industry, Denon's products are known for being driven by innovative engineering and technology. Key products include the HEOS range of wireless audio solutions, as well as recievers, soundbars, and amplifiers. 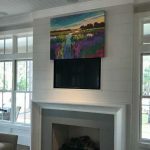 What better way to disguise a television with your favorite canvas painting, or beautiful piece of art. Advanced Integrated Controls partnership with Media Decor, a division of Leon Speakers, can make that a reality. 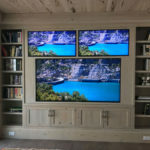 Often we have clients where the husband is looking for a fairly large TV, but the wife is hesitant having a big flatscreen be the rooms focal point. Therefore, Media Decor is the ideal way to elegantly conceal a television. The system is very quite and can be installed to move the artwork up or down, left and right, or even spit open like sliding French doors. Whatever your reason, we guarantee that we’ll be able to custom tailor your audio video with Media Decor’s enhancement solution. 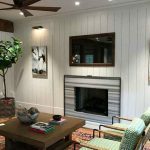 AIC has installed many high-end concealment products from Media Decor, we would love the opportunity to discuss your options. 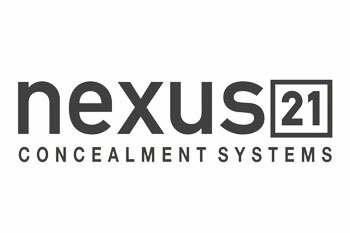 Advanced Integrated Controls is committed to installing Nexus21 pop up TV lifts, drop down TV lifts and hidden storage lifts for our clients concealment solutions. These lifts can be installed inside of media cabinets, ceilings, billiard tables, poker tables, kitchen counters and much more; the options are nearly limitless. Here is a recent Nexus 21 TV Lift AIC installed behind a media cabinet. Our strong partnership with Nexus21 allows AIC to meet the goals of our clients all the while adding a custom touch to their audio video. Even better, the lifts are extremely easy to use! With the push of a button on a programmed remote, smart phone or tablet, your TV, liquor cabinet or armory case is displayed. Just the same, a quick push of a button and the lift conceals what was just being used. “Nexus 21 makes reliable, ultra quiet, motorized TV lifts that are ideal for industry professionals. Every TV lift mechanism is manufacture in the United States and backed by a full 10-year warranty…”. Sunfire designs world-class subwoofers in addition to amps and theater speakers. Sunfire launched in 1994, and their innovative founder is known for having designed and tested a Coffee Can Amp to deliver as much power as possible with a small form factor. They continue that tradition today with powerful, sleek, small subwoofers. Advanced Integrated Controls has partnered with Sunfire to provide a line world-class products that fit unobtrusively into our clients entertainment spaces. 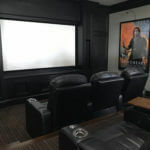 When you work with AIC, we recommend the best possible combination of elements for your home theater and audio design. For many projects, that may include Sunfire and their world-class equipment. Since 1983 Sonance has been delivering audio performance combined with minimal visual intrusion. In the 30 years that followed, Sonance has continued to invent, lead, and reinvent with a range of state-of-the-art products that deliver the perfect balance of performance and design. 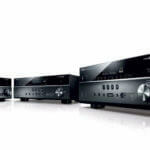 Advanced Integrated Controls has partnered with Sonance to provide top-of-the-line audio products. If your project with AIC includes in-wall or in-ceiling speakers, architectural speakers or outdoor audio systems, Sonance might be the perfect fit. 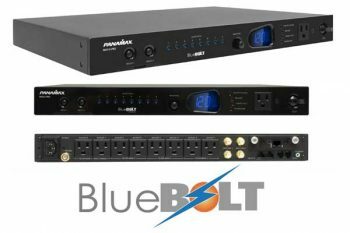 Panamax BlueBolt is the #1 power protection management system available, which is why Advanced Integrated Controls has dedicated them as a preferred vendor. Power management is critical to the safety, performance and longevity of all electronics. Our partnership with BlueBolt saves our clients time, money and energy. AIC is able to reduce service calls by scheduling automatic system reboots, which your electronics need. Furthermore, if there is an unexpected issue, AIC has the ability to remotely login to the BlueBolt system to figure out where the problem lies. In addition, living in South Carolina means homeowners risk lightening strikes that can reek havoc on their home technology. Instead of plugging electronics directly into an outlet, AIC will connect them to the BlueBolt system protecting them from an outside lightening strike. Why spend hard earned money on a beautifully designed home theater or entertainment room without protecting every piece of electronic? With the partnership between BlueBolt and AIC, together we’ll ensure to add years of trouble free use to your valuable electronics. With KEF, audio is projected so naturally that it seems you are living the experience right in front of you. They offer a variety of hi-fi speakers that is guaranteed to transfer any room into an audiophile dream come true. If your looking for room saving bookshelf's, practically invisible in-wall/in-ceiling speakers, high powered towers or a home theater soundbar, KEF delivers sound so pure you live each and every moment. 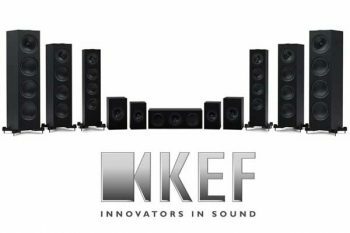 Advanced Integrated Controls has partnered with KEF from the very beginning. They are an award winning company still manufacturing high end, luxury speakers. If you’re interested in hearing exceptional audio, visit our showroom! One of the best things about living in South Carolina are the outdoor BBQ’s complete with your favorite brewskis and the football game displayed on your outdoor TV. The problem with this is the weather can reek havoc on electronics that aren’t weatherproof. That’s exactly why we partnered with SunBriteTV, to offer an outdoor TV for any weather on any budget. 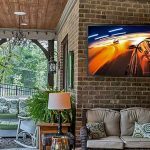 SunBriteTV has three distinct series, each designed to bring a crystal clear picture to any outdoor environment. This particular brand can be installed in places with full shade, partial sun and even full on sun. You don’t have to worry about the rain either! Furthermore, each TV has been tested to withstand massive amounts of water. The durably of SunBriteTV has won various awards and still counting. 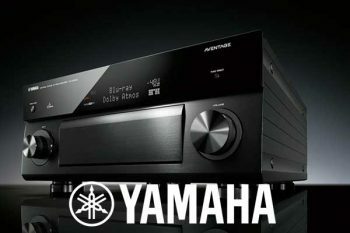 Yamaha has been given many awards for their studio grade and sophisticated audio video receivers. For this reason, Advanced Integrated Controls prefers to use Yamaha. The HTR, RX-S, TSR, RX-V and AVENTAGE series - AVENTAGE being the top rated - offer a variety of options that are guaranteed to suite the needs for any project. No matter how big, or how small that may be. An all around agreement for any homeowner is admitting frustration when having to use multiple remotes to operate an entertainment system. 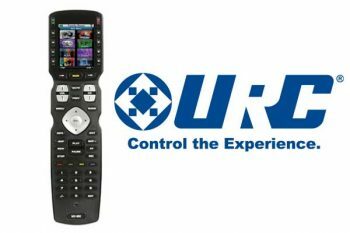 No matter how big or small, Universal Remote Controls is Advanced Integrated Controls preferred partner for advanced remote controls. These remotes have an easy to read LCD screen that can control nearly every audio video product you own. Even better, you don’t need line of sight! You can turn the channel, switch sources, pause a movie from nearly anywhere in the room. 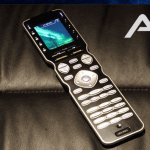 AIC has been programming these remotes since 2006. With just the press of one button, on just one remote, you can turn on your entire system. Explore our Services page to learn more about how we can help your home or business.